Tonight I’m bringing you a site exclusive. This past weekend, Bill Ward held his Absence of Corners art gallery show in Anapolis, MD. To that, my friend Damian (who does a lot of the work on the forums here) interviewed Bill. Last night I posted a sneak peek of the audio, and tonight I’m bringing you the full interview. This is a 21 minute audio interview done over the telephone. Bill Ward talks about several subjects, but one thing that is very cool was the news that on Day 1 of the Absence of Corners exhibit, Bill got behind a drum kit and played drums for the first time since last September when he had his health problems! 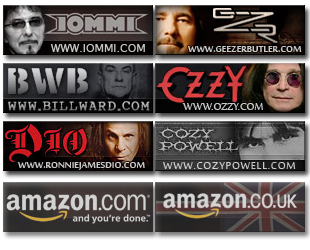 That’s pretty exciting news, as the world is better off with Bill Ward behind a drum kit! The previously mentioned fact that he played drums for the first time since last fall. His shoulder surgery, and the diverticulitis surgery he had last fall (in some excruciating detail at times). The 2004 gig where Oz fell sick, and they got Rob Halford to step in on vocals. It’s a great interview, and great to hear Bill again. I’ve uploaded the clip to Youtube, so check it out below. Damian has done some other interviews for this site (Tony Iommi & Ronnie James Dio to name a few), you can see an archive of them elsewhere on this site. He didn’t talk about the one thing I wanted to hear about:Accountable Beasts! I disagree on the 2004 performance – which was at Camden, Nj ( the Philly Show). From the Lawn’s perspective – and as a group who took the ferry back – many many people left, furious. Everyone was mad that Ozzy wasnt there. And after hearing Rob butcher Fairies Wear Boots – which is it’s own irony in it self – I had to leave. My sentiments exactly…. I am much more interested in hearing about music than those paintings. The songs are already done… Brad Wilk has been payed. Black Sabbath could give the tapes of the 4 songs to Bill and let Bill take his time to record the drum tracks on the 4 unreleased 13 songs. Tony doesn’t want to go tour any more so Sabbath could make a deal giving Bill a equal share of the profits of the 4 songs he drums on. Having Bill drumming would sell more cds for a bigger profit for all. Tony re recorded the drums tracks on his DEP sessions before he finally released that album, it wouldn’t be difficult to do again. Bill wants to work with Sabbath – Sabbath says they want to work with Bill again. It could be a win win situation! I’m surprised there hasn’t been any mention on this site of the new Dio Blu-ray/ CD from “Strange Highways” tour. It’s really good with some neat bonus footage. The new stuff (at the time) from Strange Highways sounds really good live. This has been out for a few weeks now. I got mine through Amazon. I seriously doubt Bill will ever be working with those guys again. Bill retired from music after the 2005 tour,he just wont admit it…he will never bring out those solo albums he has been talking years about. I hope Bill Ward can play a part in the future of Black Sabbath. I think Ozzy still has a little juice left in him and Tony is always creative and keeping himself occupied with music so he never rests or “rusts” as to Geezer he goes with the flow and is always up for a challenge. 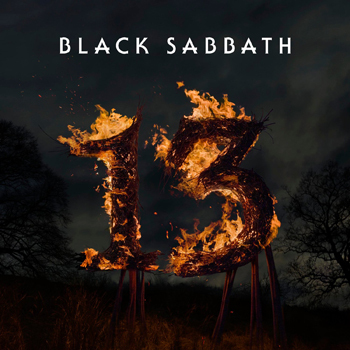 Would be nice to see a future Black Sabbath follow up to 13 with Bill having a part (even if it is not a major one). Bills solo albums Beyond Aston and Accountable Beasts are done,don’t know why he does not release them. You know I’ve done my share of speculating about how and why things fell through on the “13” project. Mainly trying to piece together things from various interviews. Overall though, I love Bill and all the guys. Only they all know what really was going on there. Sad they couldn’t get it sorted. Maybe things will be different on the upcoming album. Would be nice. Either way, I’m thankful to all the guys for sharing their musical gifts with us. I was born just before they got started. In my opinion, I’ve enjoyed the best music ever heard on planet earth. That’s something I’ll always be thankful for. God bless you Bill, and Tony, Geezer and Ozzy too.